With the initial idea of getting a few good people together for a fun day out, the Litchi Party has bloomed into something so much more! A day that thousands of proud South Africans look forward to each year…A musical education… A social podium…A festival of energy! 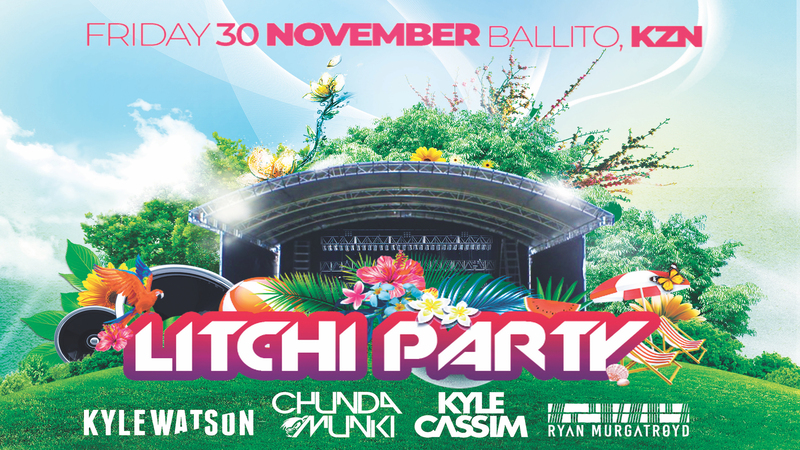 Feeling the pressure to expose this monster of radiance to the rest of the country, the Litchi Party creators are thrilled to deliver brand-new musical wisdom to the ‘Litchi Lover.’ With the quest to entertain party goers through out South Africa all under the Litchi Party roof.